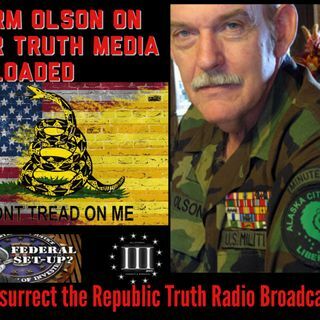 On Resurrect the Republic with Tom Lacovara-Stewart - Pastor, Militia Commander Norm Olson. Norman Olson was a gun shop owner and pastor from Alanson, Michigan. He and one other person, Ray Southwell, founded the Michigan Militia in 1994. They created this organization in reaction to what they perceived as the government overstepping its authority during the 1990's, in the process threatening personal rights, especially on issues relating to the ownership of firearms and property rights. ... Más informaciones They expressed additional concern over the United Nations and a concept of an emerging "New World Order". The Michigan Militia faced intense scrutiny from media and law enforcement following the Oklahoma City Bombing. Two bomb suspects, Timothy McVeigh and Terry Nichols, were said to have attended a meeting of the organization but were not actually members.